Enter directly with the code and immediately enjoy the world’s largest water extravaganza at a great value! Feel your jaw drop as you watch one of the world's largest pool-based performances. The 17m diving acrobatics will certainly have you on the edge of your seat! not as spectacular as when it first open, some part of the show has changed but overall it was still very enjoyable and entertaining. Get US$0.2 back in Klook credits for your next trip when you book this activity! Complete this Klook activity to get 1%-11.8% of the activity cost back in free credits to use on your next booking. For example, book US$21.69 to get US$0.2 free credits. 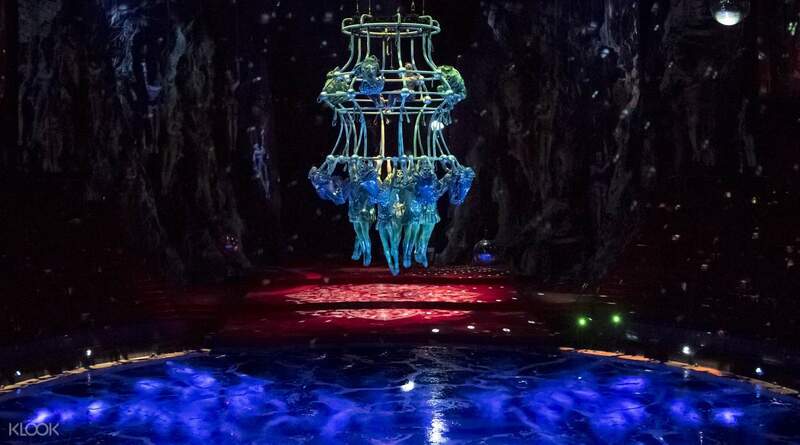 3.7 million gallons of water, two billion HK dollars, 18-meter fountain jets, and a troupe of talented performers – no expense has been spared for the most breathtaking show in Macau! 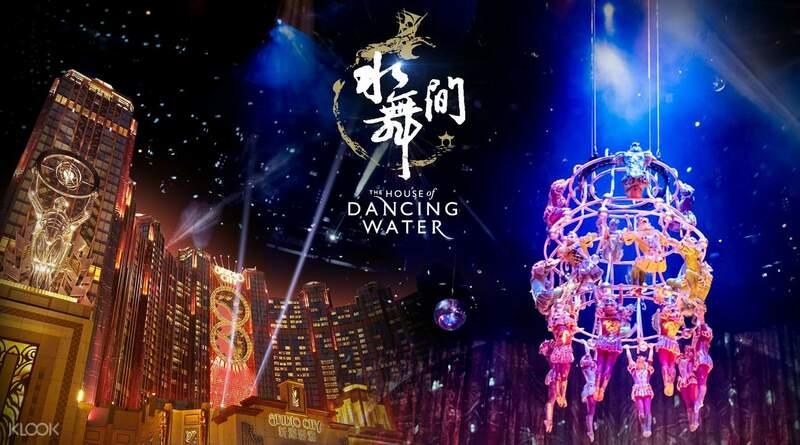 As the most talked-about show in Macau, The House of Dancing Water is a spectacle not to be missed. 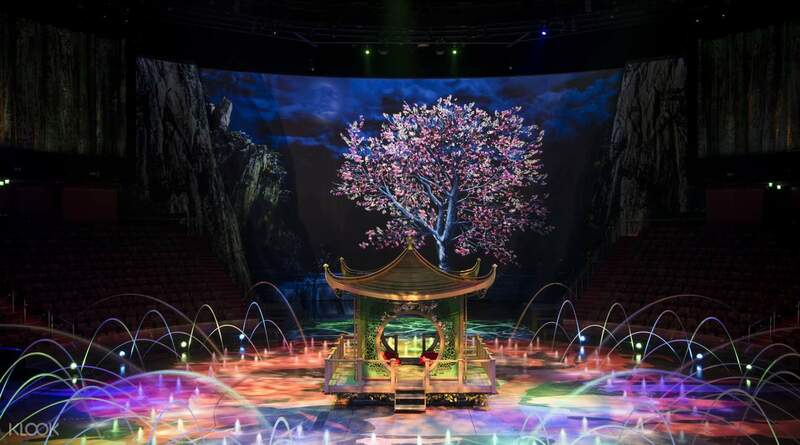 Created by the famed show-maker Franco Dragone, the show cost USD250 million to create and produce, and is only performed at the City of Dreams. The tale follows a classic story of love and villainy, involving a shipwrecked stranger, a beautiful imprisoned princess, and an evil stepmother. 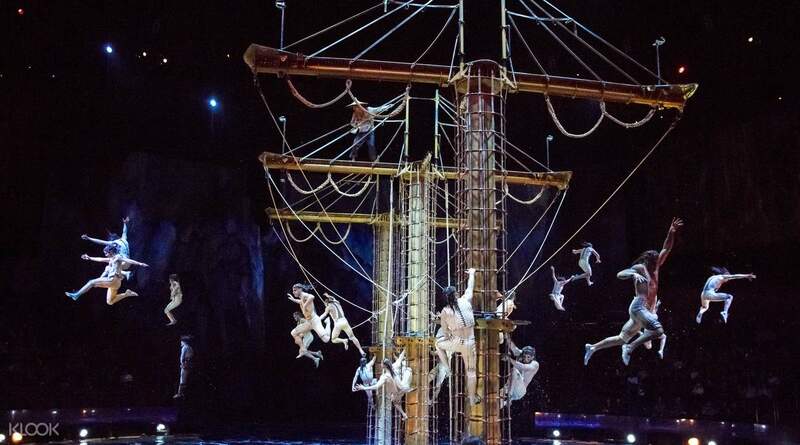 With The House of Dancing Water tickets, you can take in astonishing feats of acrobatics and high diving, breathtaking dancing and costumes, and marvel at the spectacular, 3.7 million-gallon pool – bigger than 5 Olympic-size swimming pools! 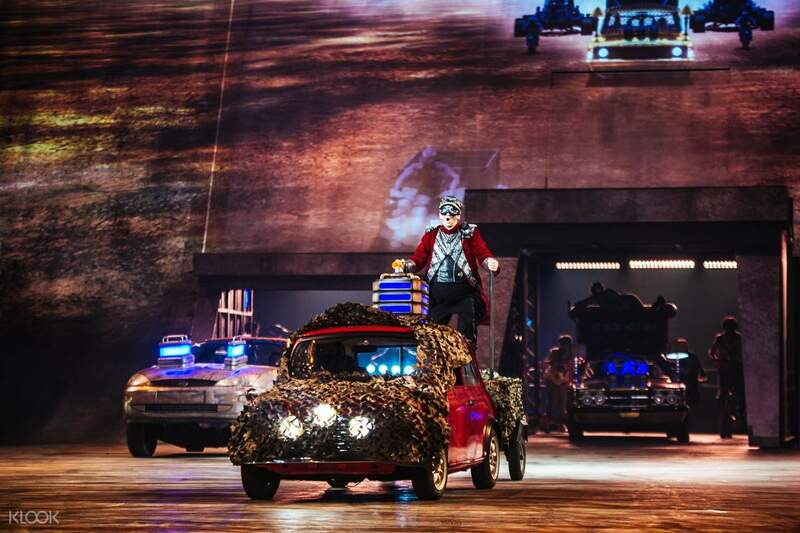 There are countless reasons not to miss this show – the visual stunts are only the beginning! Only produced at the City of Dreams, catch this once in a lifetime spectacle of a show! 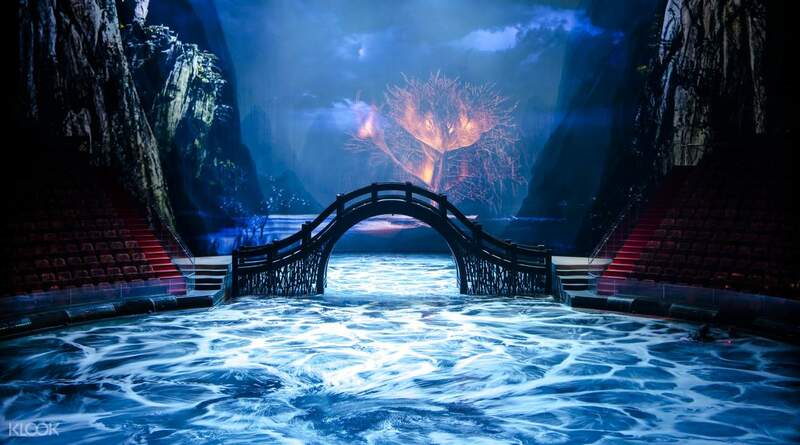 Fall in love with the beautiful set of The House of Dancing Water in Macau —a visual feast on its own! They obviously spent a lot of money on the show because of the sheer amount of cars, pyro, cast members. The storyline was ok, i would suggest them trying to have a bit more stunt work put in around the cars. They obviously spent a lot of money on the show because of the sheer amount of cars, pyro, cast members. The storyline was ok, i would suggest them trying to have a bit more stunt work put in around the cars. This is one of the best watch show if you're visiting Macau. The efforts and the stage are phenomenal. The orchestration of whole show is commendable. We had got 2nd row in 1WA section. Didn't get wet, only some drizzles. Our son loved closed encounter with artists. Needless to say that sections adjacent to the VIP sections have the best views specially the background. This is one of the best watch show if you're visiting Macau. The efforts and the stage are phenomenal. The orchestration of whole show is commendable. We had got 2nd row in 1WA section. Didn't get wet, only some drizzles. Our son loved closed encounter with artists. Needless to say that sections adjacent to the VIP sections have the best views specially the background. MUST WATCH!!! I've watched costly and impressive award-winning Broadway Musicals, but THIS is of a different and higher level of experience! It'll keep you wondering just how deep can the stage floor be lowered to create an instant swimming pool, the stage floor was ever-changing! It was difficult to keep up with all the changes to the stage which all happens at the same time. It is a combination of fantasy, acrobats, contortion, dance, comedy, romance, extreme motorcycle actions, lightning, water fountain, music, multimedia, puppetry and etc... It's brilliant! It's flabbergasting! It's awesome! MUST WATCH!!! I've watched costly and impressive award-winning Broadway Musicals, but THIS is of a different and higher level of experience! It'll keep you wondering just how deep can the stage floor be lowered to create an instant swimming pool, the stage floor was ever-changing! It was difficult to keep up with all the changes to the stage which all happens at the same time. 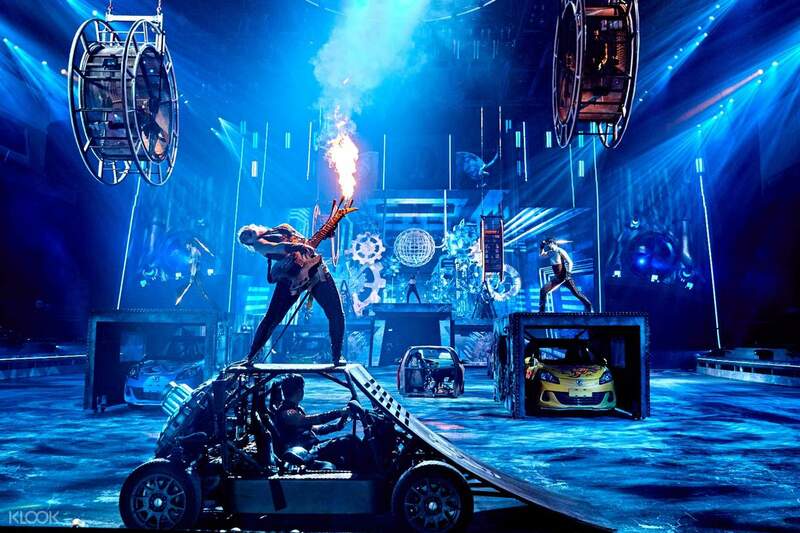 It is a combination of fantasy, acrobats, contortion, dance, comedy, romance, extreme motorcycle actions, lightning, water fountain, music, multimedia, puppetry and etc... It's brilliant! It's flabbergasting! It's awesome! Amazing show. Superb and lavish production. Definitely we will watch again the next time we visit Macau. No need to reedem the ticket. Just bring your printed ticket or show your vocher at the entrance. Amazing show. Superb and lavish production. Definitely we will watch again the next time we visit Macau. No need to reedem the ticket. Just bring your printed ticket or show your vocher at the entrance. It is one of the best shows i ve ever visited. Must visit for someone in macau. Very near grand hyatt and in the city of dreams. The shpw is just outstanding. Total value for money. Dont think and just visit the show. It is one of the best shows i ve ever visited. Must visit for someone in macau. Very near grand hyatt and in the city of dreams. The shpw is just outstanding. Total value for money. Dont think and just visit the show. When I ordered the tickets. It was very easy. I was confused about elderly ticket but the CS of Klook very very quickly replied with the answer I needed. So I bought the ticket. The show was on time. It was organized with many fancy souvenir shops. A great place to spend time with family. It will bring a lot of memories. It is very highly rexommenddd. Don’t miss out!! When I ordered the tickets. It was very easy. I was confused about elderly ticket but the CS of Klook very very quickly replied with the answer I needed. So I bought the ticket. The show was on time. It was organized with many fancy souvenir shops. A great place to spend time with family. It will bring a lot of memories. It is very highly rexommenddd. Don’t miss out!! Awesome show! Very grand. Here and acrobats and gymnasts and flying motorcycles and much more. Very impressive. Expensive of course, but worth it, since this show is nowhere to be seen anywhere else. Photo and video shooting on the show is prohibited. The scene is located in the City of Dreams building. Awesome show! Very grand. Here and acrobats and gymnasts and flying motorcycles and much more. Very impressive. Expensive of course, but worth it, since this show is nowhere to be seen anywhere else. Photo and video shooting on the show is prohibited. The scene is located in the City of Dreams building. THIS SHOW REDEEMED OUR MACAU TRIP! The show was superb and amazing! I'VE NEVER SEEN SUCH AN AWESOME SHOW!!!! And definitely book thru klook so that you're sure to have a ticket! it's always sold out specially on weekends!!! loved it everything about this!!! THIS SHOW REDEEMED OUR MACAU TRIP! The show was superb and amazing! I'VE NEVER SEEN SUCH AN AWESOME SHOW!!!! And definitely book thru klook so that you're sure to have a ticket! it's always sold out specially on weekends!!! loved it everything about this!!! 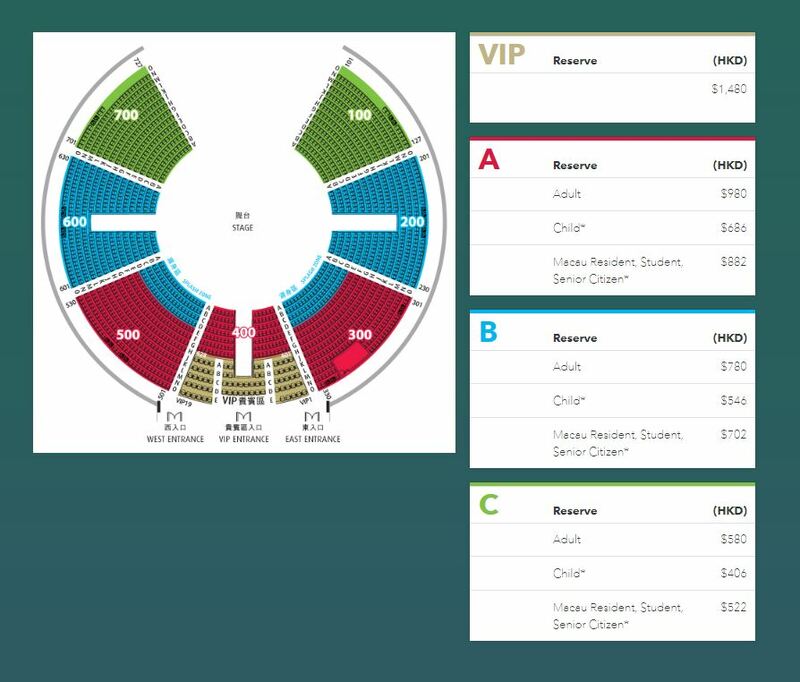 Q: Can I choose the seats for the show? A: Please note that seats are assigned automatically by the ticketing system. If you would like to sit together with the rest of your group, the only way to guarantee this is to order all the tickets together in a single booking.